We aimed to identify, through a review of the literature, candidate genes for a prospective predictive chemosensitivity test in patients with breast cancer. Papers demonstrating an association between gene alterations in tumor tissue and clinical chemosensitivity in breast cancer patients were selected by Medline searches. We calculated odds ratios (ORs) and their 95% confidence intervals (CIs) of response rates for patients who had tumors with or without gene alteration. Combined ORs and CIs were estimated using the DerSimonian-Laird method. A total of 18 genes were evaluated for association with clinical chemosensitivity in 6378 patients registered in 69 studies. The median (range) number of patients in each study was 73 (29–319). Overexpression of ABCB1 (P-glycoprotein) was associated with poor responses to first-line chemotherapy (combined OR [CI], 0.16 [0.05–0.59]; n = 322). Overexpression and amplification of TOP2A (topoisomerase II-alfa) were more frequently observed in patients who responded to first-line chemotherapy (combined OR [CI], 2.73 [1.02–7.27]; n = 323). 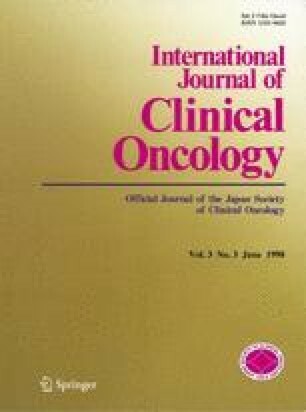 Overexpression of ERBB2 (c-erbB2) was associated with favorable responses in patients treated with both first-line anthracycline-based chemotherapy and second-line taxane-based chemotherapy (combined ORs [CIs], 1.60 [1.19–2.17]; n = 1807 and 2.24 [1.06–4.74]; n = 259, respectively). BCL2 overexpression was associated with resistance to first-line chemotherapy (combined OR [CI], 0.44 [0.21–0.91]; n = 816). ABCB1, TOP2A, ERBB2, and BCL2 were good candidates for future clinical trials of predictive chemosensitivity tests in patients with breast cancer.